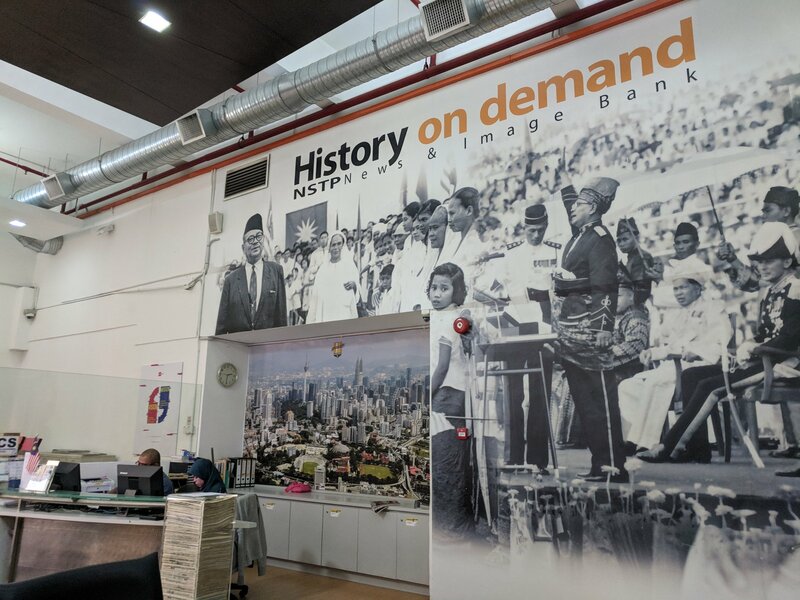 This is a short post about accessing the archives of the New Straits Times in Bangsar, Kuala Lumpur, Malaysia. Posting here because there is very little information about this important media archive online. For a start, don’t expect anyone to know what you are looking for when you ask for the “archives”. Officially the name of the archives is the ‘Resource Centre’, but may also be referred to as ‘the library’ by staff. Address: 31 Jalan Riong, 59100 Bangsar, Kuala Lumpur. Upon arriving at the main gate, tell the guard that you are visiting the Resource Centre. They should point you in the direction of the archives. News clippings: Collection of ~6 million newspaper clippings in English and Bahasa Melayu. Photographs: ~6.7 million hard copy prints dating back to the 1850s. Bound volumes: Original copies bound monthly back to 1970. Microform: Copies of newspaper articles from 1950s to 1984. News and image bank: Access to their online archive of newspaper articles, online and PDF scans dating back to 1991. Cartoons: Original drawings, including by artists Lat, Fauzi, Juragan, and Ragam Zoy. Various books, magazines, maps, etc.. This photo essay documents a trip made by UK firefighters, land managers, and researchers, to participate in a “Technical Fire Management” training course in Catalonia led by the GRAF bombers (‘bombers’ being Catalan for fire fighter), Catalonia’s highly skilled forest fire fighters. The trip formed part of my work whilst leading a Natural Environment Research Council (NERC) funded Knowledge Exchange project that links wildfire academics with various Fire and Rescue Services in the UK. 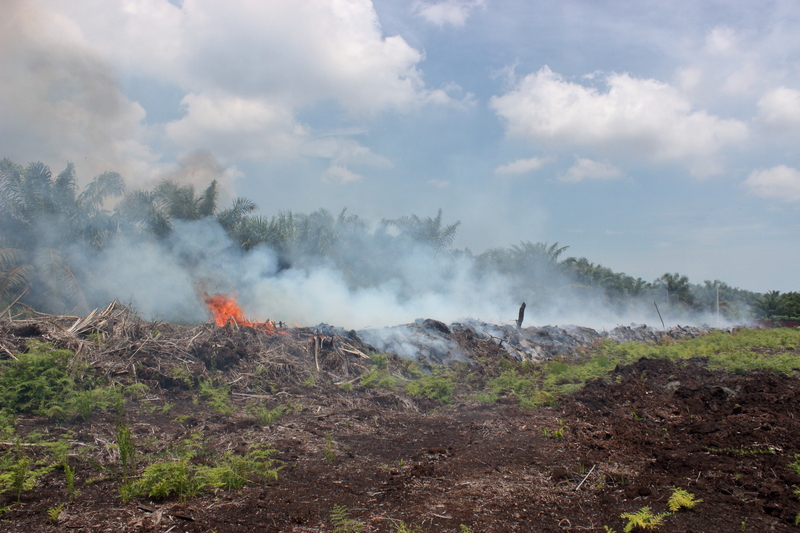 The main aim of the project was to incorporate cutting-edge wildfire research (for example, wildfire spread simulation models, unmanned aerial reconnaisance systems etc.) 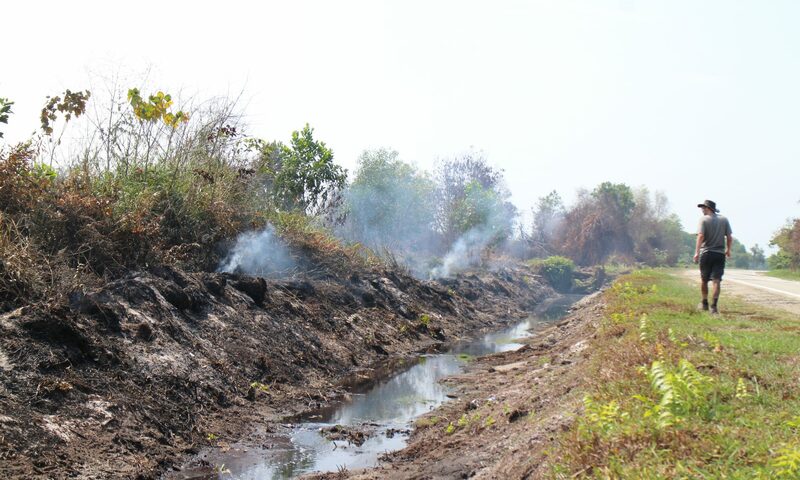 into the wildfire training programmes offered by UK Fire and Rescue Services. Perhaps surprisingly, the UK Fire and Rescue Services respond to more than 60,000 wildfires annually, which is around one-third of all fire ‘call-outs’. Despite this, specialised training is only offered by a handful of Services. Opportunities for UK fire personnel to participate in ‘live’ training fires are rare due to the unpredictable British weather and strict restrictions on when land burning can take place. One solution in recent years has been to send UK fire fighters to undertake training abroad in places like Catalonia and Kruger National Park in South Africa. 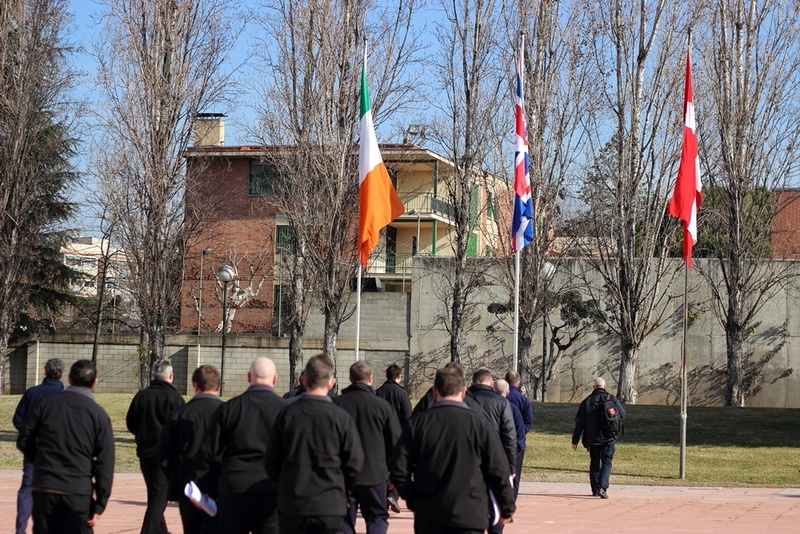 In February, around 20 officers from six UK Fire and Rescue Services, two Danish fire fighters, a land manager and myself (a researcher) flew to Barcelona where we were picked up and driven to the GRAF bomber academy in the suburbs. And so began a tough week of learning, hard labour, and fire, of course. A full photo gallery containing 75 photos from this campaign can be found here. Before the first classroom exercises of the day, the training course participants walk across the parade for a ceremonial photo under the national flags of the participant countries. Possibly ironic that the Catalans had mistaken Northern Ireland for the Republic of Ireland!